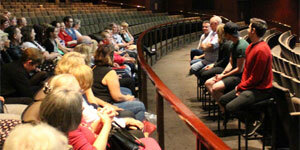 Our visitors are the heart of QPAC, influencing and providing vital support for everything we do. 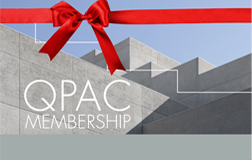 And now you can come closer with a 12 month QPAC Membership. Join now for great benefits including zero transaction fees, priority booking and savings on dining and parking. Gold Membership includes 12 months digital subscription to The Courier-Mail or other News Limited titles, Digital magazine subscription to your choice of titles including Vogue Australia, GQ and Donna Hay and free monthly eBooks, as well as bonus rewards and offers. Or buy a Gift Membership as a perfect surprise for someone who loves live performance. Compare the benefits in the table below. A gift membership is the perfect idea for someone with a love of live performance.